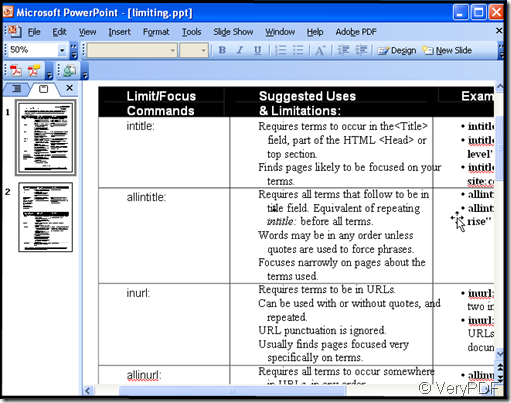 ← Can I preserve images of my PDF file when I convert the file to PPT format? Can I preserve graphics of my PDF file when I convert the file to PPT format? 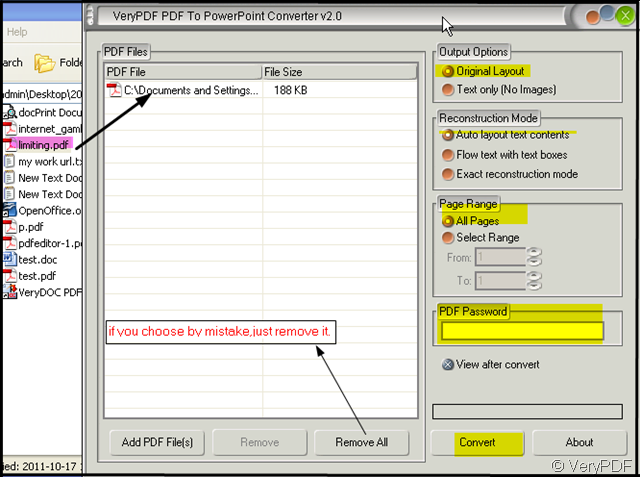 If you use VeryPDF PDF to PowerPoint Converter to convert the PDF file to PPT format, it can keep the graphics in it. Graphics can be functional or artistic. The latter can be a recorded version, such as a photograph, or an interpretation by a scientist to highlight essential features, or an artist, in which case the distinction with imaginary graphics may become blurred. As to the functional, it could be used to show some data in a table. But Graphics is not special, it is just constituted by many little units.pdf2ppt can convert it quite well. Then please see the operation procedure as follows. 1. Download , install, run. 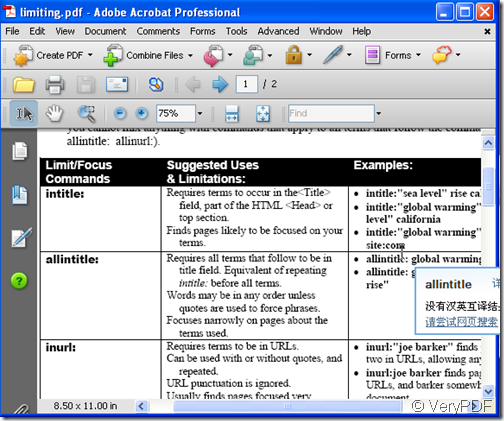 pdf2ppt as a software, you need to download it from the professional website.http://www.verypdf.com/pdf2ppt/index.html or you can buy it directly from this link. https://usd.swreg.org/com/shop/102518/cart/2575402101 Please save pdf2ppt.exe in your computer then install it. Uncompress the package and let it run in your pc. 2. Add file, choose options and save new PPT file. 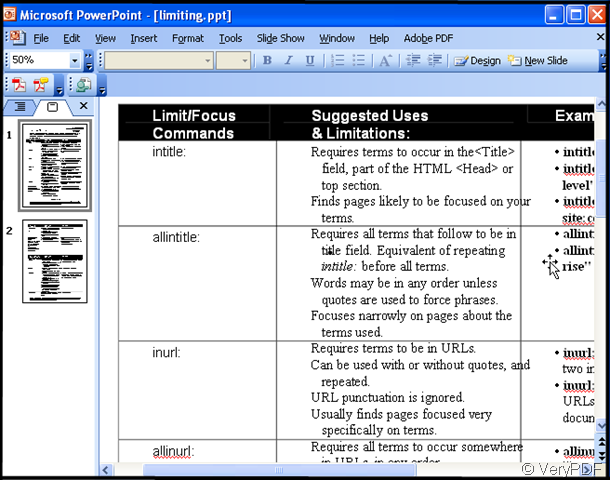 Take “limiting.pdf”for example.There is a graphics in it. By this example to see the way of converting. Add file and choose options. If it has password,please input it. Then convert it. It only takes 4-5 seconds to finish the converting. The new PPT file converted from PDF file shows up in the opening status. The graphics is kept tact. How to convert PCL to BMP and fit to paper size? How can I convert lots of HTM documents to XPS format? 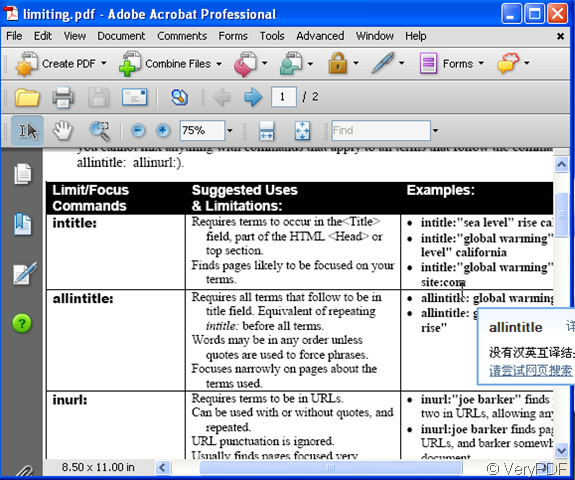 How to make pdf file editable? 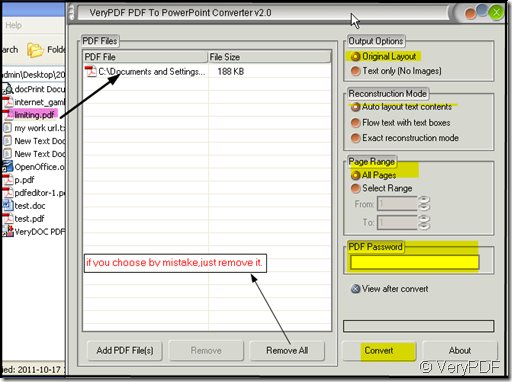 Can I convert a PDF file in Portuguese to PPT format? How to convert pdf to .wmf?